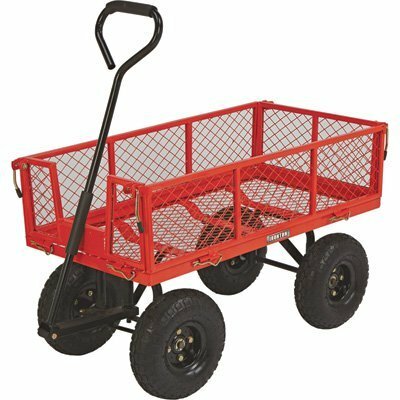 This Ironton steel cart is one heavy-duty vehicle. At 34in.L x 18in.W, with a 400-Lb. capacity, this cart takes the load off you and puts it where it belongs. The steel mesh deck, folding removable sides and straight-pull handle will serve you well. The 10in. dia. pneumatic tires make it great for lawn and garden use. Some assembly required. View More In Outdoor Carts. If you have any questions about this product by Ironton, contact us by completing and submitting the form below. If you are looking for a specif part number, please include it with your message.